Nick Brett won his first World Indoor Bowls title with a 9-9 12-9 victory over fellow Englishman Robert Paxton. The first set was closely contested, with Brett earning a crucial half with the last bowl of the final end. But world number one Brett pulled away in the second set, winning the first end 4-0 and never relinquishing his advantage. 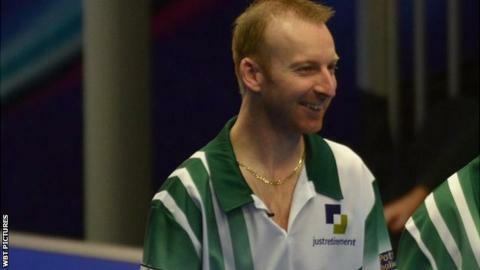 Brett adds the singles title to the pairs world title he won in 2014 partnering Greg Harlow. For Paxton, the 2015 pairs world champion, the wait for a first singles crown goes on.